Psychic Tips for Professional Readers | Charge What You're Worth! 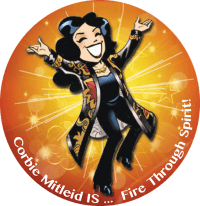 This was actually sent in as an “Ask Corbie” question on the old website, but since it specifically pertains to all of us who offer Lightworking services, I thought it was worth its own article here. I have a lot of trouble charging for what I do. I’m a very good healer and I definitely connect with people’s guides and angels and I’ve been reading cards for about ten years. But whenever I ask for money for what I do, it’s like I’m waiting for them to tell me I don’t deserve it, or how dare I, or it’s too much money. I see people around me charging a lot more and getting it for what I think isn’t as much work! And if I know somebody I feel like if I charge them I’m greedy, shouldn’t I be doing it for free? I know this isn’t working and I have to get myself out of thinking this way but I’ve been stuck for a long time. This is something that is problematical for an awful lot of us, Rosadonna. Because on one level we know that money is not the real measurement of what we do, or our worth, we haven’t “connected” with it the way most of the world has. Additionally, if we think that money is “bad” and people who have a lot of it are “greedy” then we have to a greater or lesser degree given ourselves an adversarial relationship with it. Think of it this way. Money is energy. It’s an energy exchange. It is a way we ourselves value what we do, what we give, and how we serve, because that’s the way the world works currently. Since this is a world where money is the energy that connects us with food, shelter, and other necessities — as well as other things which are simply lovely to have, like books and a car — it’s something that we have to deal with. Yes, we can barter and yes, we can make our own versions of a lot of things, but not everything. And so — money. Look at how you view money in other places in your life. Do you think you will have enough? Do you find yourself doing little petty thieveries, thinking “they don’t matter” or “these people are big enough that they won’t miss it” — things like tucking a towel from a hotel in your suitcase, finding an item in the shopping cart you forgot to pay for and simply shrugging your shoulders, or taking home a ream of paper or a few break-room coffee pods from your workplace? These are all ways to say “I don’t believe the Universe will ever give me enough.” And the Universe, being a short-order cook with no imagination, obliges. So ways we make money can be blocked, we find ourselves out of alignment with prosperity, — sometimes, subconsciously, we even feel that we need to be “punished” for what we’ve taken, and so not getting things feels “right.” It’s not farfetched, believe me. People get clarity from my readings. My work helps relieve pain and soothe stress. I help people to connect with the angels that love them for comfort and protection. Now. Pop the name of someone well-known in there, just to take your energy out of it. People get clarity from Sonia Choquette’s readings. Deepak Chopra’s work helps relieve pain and soothes stress. Doreen Virtue helps people to connect with the angels that love them for comfort and protection. When you put those famous names in front of what YOU do, I bet you don’t question for a moment that they get paid for doing what they do. You may not be as famous, you may not have been doing it for as long — but how do you know what you do isn’t as valued, as useful, as PERFECTLY ALIGNED for your clients’ wellbeing as those other people’s work? It’s just that you see what you do as not enough. And believe me, it is. We are all gifted differently. I will probably never do the major gallery work of a James Van Praagh. I will never be a hands-on healer of the calibre of John of God. And I may never be the Tarot reader that someone like Tarot Grandmaster Mary Greer is. But I am superb at combining all of those talents at my own level with my own spin of how to heal the world. That’s worth a great deal to a great many people. Please trust that you can and should charge for what you do, and the money is honorably made. Give away sessions and do pro bono work as you see fit — but do it because you choose to in that moment, not because you’re afraid to ask for fair value for your time, expertise, compassion and energy.